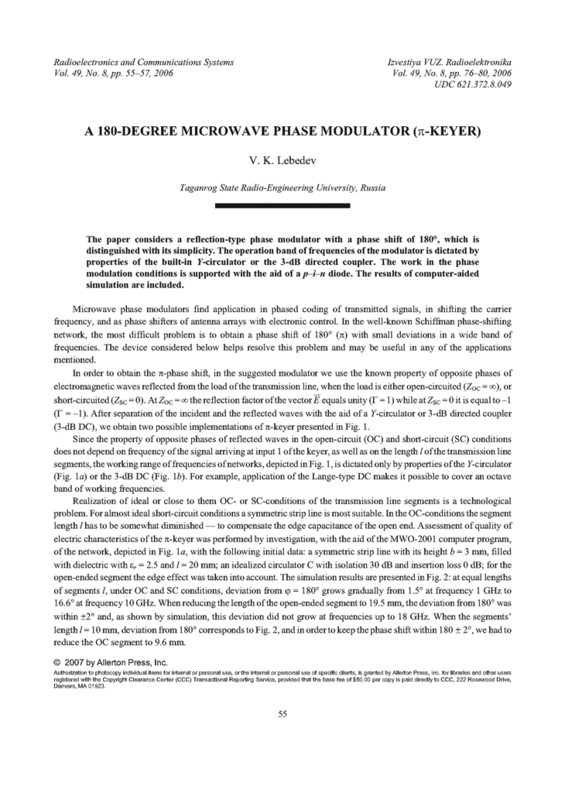 The paper considers a reflection-type phase modulator with a phase shift of 180°, which is distinguished with its simplicity. The operation band of frequencies of the modulator is dictated by properties of the built-in Y-circulator or the 3-dB directed coupler. The work in the phase modulation conditions is supported with the aid of a p-i-n diode. The results of computer-aided simulation are included.